Here's a prime example of a great promotional product! 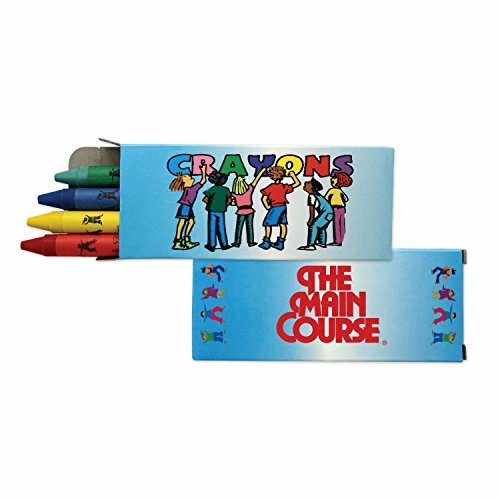 Our premium 4 pack of wax crayons includes a red, green, blue and yellow stick. Non-toxic, so parents can rest easy. Conforms to ASTM D4236. This child friendly promotional item would be great for schools, restaurants and more. Imprint Location :Back/ Imprint Method : Screen. Imprint Size:2" x 1"
If you have any questions about this product by Ummah Promotions, contact us by completing and submitting the form below. If you are looking for a specif part number, please include it with your message.